Movies are doomed. I have seen the signs, reviewed the almanacs, studied the tea leaves, questioned the psychics (who knew I was coming), and prostrated myself before the wisest of sages. That, and I suddenly found I was unable to use MoviePass earlier this July when I wanted to see Mission: Impossible - Fallout on preview night. Since then they have also raised prices, cut back on what movies can be seen, lowered prices, and just recently reduced the number of movies able to be seen to three a month. Once MoviePass falls, the theatrical motion picture industry will inevitably be the next Roman Empire. (Full Disclosure, Steven Slater has a majority stake in MoviePass and is on the Board of Directors, and has a vested interest in believing MoviePass is the greatest company in the world and that without it destitution is the least of our problems). Actually, July was a damn good cup of coffee month, even though it was missing a huge marque title. Last year we had the reboot of the reboot of Spider-Man, while this year’s Ant-Man sequel (I hate these hyphens) is inevitably a rung down the ladder. There were plenty of middle-tier films that bolstered the ranks, however, including a further return to form for Tom Cruise and the third adventure of Adam Sandler doing the one thing that will not further alienate his audience. There was also an odd abundance of sequels, such that one weekend in July had more sequels in the top ten than any other weekend on record, and some of those from the unlikeliest of franchises. As we wind down the summer movie season of 2018, let us see who won the race for the almighty dollar. As of the end of July, Disney has had the number one film for every month except January, a trend that continues with Ant-Man and the Wasp. This includes two repeat winners, Black Panther and Avengers: Infinity War, as well as The Incredibles 2. This has given them five of the top ten grossing films of the year so far, with Ant-Man becoming the eighth highest. The sequel to a lesser property, perhaps *ahem* the least property Marvel has attempted so far, yet still the comic book juggernaut spins even the worst of thread into movie gold. 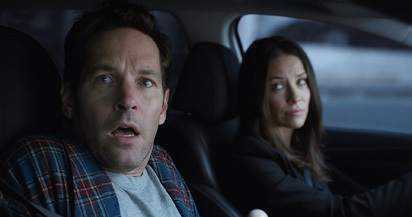 Ant-Man numero dos was able to open almost $20 million higher, and will finish around $30 million higher than its origin, with both finishing just above half a billion worldwide. This means every superhero that has had a standalone film in the Marvel Cinematic Universe will have had a $200 million dollar film. Kind of shocking to think Ant-man has the box office prowess of Han Solo, but, uh, there it is. Speaking of Ian Malcolm, the character makes a return of sorts for the first time in over twenty years, and he’s basically the man who cried wolf at this point. If dinosaurs have not been put on the Do Not Fly list at this point, it has to be a lost cause. Because June had some massive films open in the second half of the month, and July was full of middle-tier hits, there was a lot of room left for holdovers. Jurassic World 2 fell back to earth after the massive t-rex roar of an opening the first one had, but still has the fourth largest opening and domestic total of the year. The weekend declines have also been steeper, meaning this film has earned a multiplier of about 2.7, whereas the first earned a 3.1. Still, this franchise has become nearly review-proof, and with over $1.25 billion worldwide and counting this is a huge success. One day when Disney decides on a whim to buy Universal, maybe Pixar can make an Incredibles sequel where they have to stop the dinosaurs from escaping The Island once again. I mean really, how many times can they destroy the Death Sta-I mean stop greedy people from stealing dinosaurs. Then again I am sure the Incredibles are hiding the fact that Jack-Jack has inevitably killed dozens of people at this point (those laser eyes shoot for quite a distance), so they might have enough on their plate. Over $575 million, to be exact! The sequel to one of the more beloved Pixar properties has become the highest grossing animated film of all time on the domestic front, and time will tell if it can dethrone Frozen worldwide. Just as Disney pulled a few tricks to get A Wrinkle in Time over $100 million and Black Panther over $700 million, I am betting Incredibles 2 will be able to limp over $600 million, becoming the ninth film to do so, the sixth for Disney, and the third for Disney this year! Sony Animation has found a winning formula, as every three years they release a Hotel Transylvania film that opens in the 40’s and finishes around $150 million. Number 3 will fall smack in the middle of the previous two entries, with an open and ultimate finish ahead of number 1, and behind number 2. I guarantee that another entry is coming in 2021, if Sony is still around at that point. Animated films seem to last for about three entries at most, so I am actually surprised HT3 is performing this well, especially considering the alternate kids movie in theaters this month, which really must have sucked the air of the room in June, but left enough room in July for HT3. But I suppose it is kind of like Tom Cruise and Mission: Impossible; once you find your schtick, you just do it over and over again, trying to make it better. Give the people what they want. Color me shocked that the relatively moderate opening weekend for the sixth Mission: Impossible film is Tom Cruise’s largest opening weekend after War of the Worlds. I suppose his career was really at its zenith when opening weekends rarely cracked $50 million, but it is still interesting to think he was (is?) a massive star, and yet big success is defined as about 12 hours of an Avengers film’s opening weekend. Mr. Cruise has apparently made some kind of peace after years of awful headlines, as people love what he delivers in these films, rewarding them with slightly higher opening weekends and grosses with just about every installment. You can quite literally say he carries these movies on his back, which at 56 must require a dump truck of Icy-Hot. Production budgets for the M:I films have been creeping up, but luckily Cruise still has international appeal, as the last couple films have finished close to $700 million worldwide. After giving the smack-down to Winnie-the-Pooh this past weekend, I see MIF becoming the top grossing opener in July, just beating Ant-Man by a few million. Cruise and McQuarrie may be back yet again, just like Hotel Transylvania, in three more years.